Helping you create a successful blog! Bloggers interact with each other and this could be done directly by commenting on each others’ blog entries or maybe even trackbacks. In any case, it would be great to know what people have been talking about without having to go to their sites immediately. You could do this if you are subscribed to blog feeds. 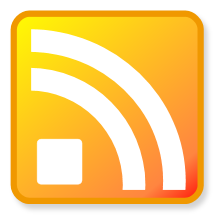 If you those orange buttons that seem to have these set of curves or maybe the letters RSS or XML, you are seeing the link to their blogs’ feeds. Why read RSS? Why bother subscribing when you could just go visit all of these blogs? It is nice to have a one-stop shop where you could see everything going on. It’s like having the latest headlines. It makes it less confusing for you and at the same time you could easily compare what others have been saying about particular topics. Maybe you love the tips of problogger Darren Rowse on his ProBlogger.net blog. Or maybe you are an engineer who has aspirations to be a chef and you enjoy Cooking for Engineers. You could have all these and more on your aggregator of choice. What can you use to read these feeds? You could use online services like Bloglines, Rojo and Google Reader. All of these services give you ways to gather the headlines and summaries (or even full entries, if they are available) of the blogs that you enjoy reading a lot. Content Marketing Tips: Include Useful Tools Via Your Site!